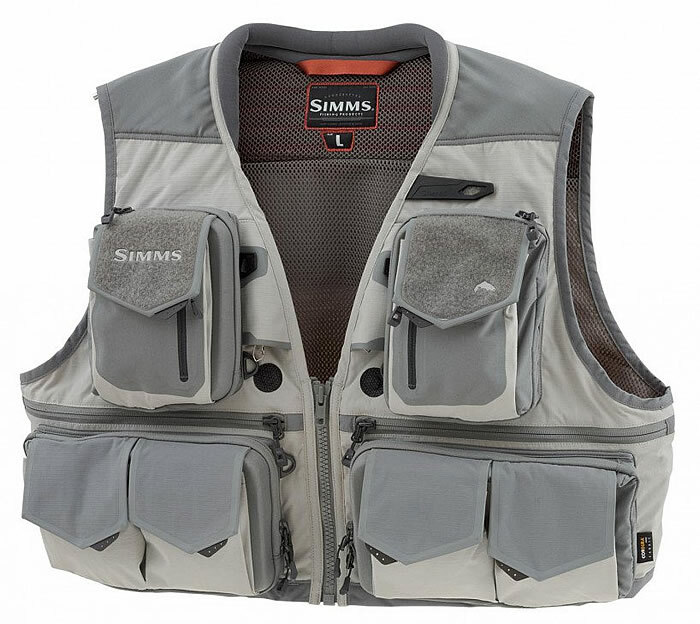 The Simms Guide Vest is one of the best vests available. Durable, lightweight and functional. 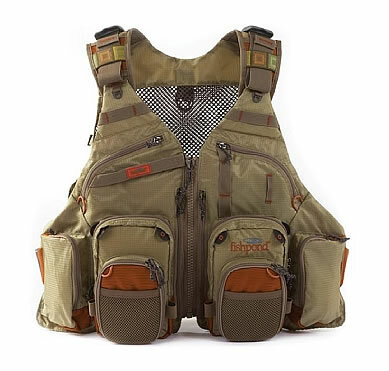 A high-quality vest from Fish Pond. Lots of pockets...but not too many. See more FishPond vests at FishWest. Mesh Vest or Traditional Vest? Finally, let's move onto the comfort of the vest. Fishing all day in an uncomfortable fly fishing vest is a recipe for misery, akin to carrying around an ugly and spasmodic monkey for a few hours. As such, it is highly recommended that any fishing vest purchased have a system to reduce the weight of the vest on the neck and shoulders. Many new fishing vests help distribute the weight of the vest around the entire upper body and help prevent uncomfortable stress points from developing. Hopefully, this short article about what to look for when shopping around for a vest will help new anglers get the right vest the first time, thus avoiding the need to get another one a year later. Remember, a fly fishing vest is worn, and as such, comfort is very important. Additionally, fly fishing vests take quite a bit of abuse—once off the stream they are frequently hung up wet and forgotten about, usually for long periods of time. Thus, if you are looking for a vest, spend the small extra money now for a good one. You will save money and aggravation in the long run. There are many good fly fishing vests on the market. Unfortunately, there's also many not-so-good vests sold, too. By and large, vests made by Orvis, Cabela's, Simm's and Redington are all high-quality and should last many years provided they are properly cared for (don't stuff a wet vest in a plastic bag and forget about it). I personally have a Orvis Clearwater Mesh Vest and have no complaints about it. The vest has proven durable, very comfortable and functional. Fly fishing vests are widely available online and off. Online, Cabela's, Patagonia and Simms all sell quality vests. Offline, any good fly shop should carry a multitude of quality vests as well. Just be sure to avoid the "Wal-Mart Specials." These types of vests have a nasty tendency to fall apart quickly, especially after getting wet a few times. Simms Fishing Vests - Manufacturers top quality and very popular vests that last a lifetime with proper care. Simms is based in Montana. Fly Fishing Vests at Fishwest - Fishwest has a great selection of quality fishing vestsfrom Simms, FishPond and others. Fly Fishing Vests at Cabela's - Carries the largest selection of vests, including those made by Simm's, Cabela's own brand and Redington. Patagonia Fly Fishing Vests - Patagonia makes just a couple of vests, but the ones they have are very nice and extremely durable. The Rivers Edge - A respected fly shop in Bozeman that sells vests from Simms and other brands.